If you have seen the live-action Beauty and the Beast by now (and if you haven’t, what are you waiting for?! ), you probably noted every change from the original 1991 animated movie. But one subtle change had less to do with the tale as old as time and more to do with the design elements of the film. For 2017’s Beauty and the Beast, Emma Watson made a change to Belle’s yellow dress that you may have missed. Watson has been outspoken in the changes she requested of her character Belle to make her more of a feminist in the new Beauty and the Beast. But it wasn’t just the plot that needed to be tweaked to reflect this, it was also the costumes. Back in November 2016, Watson and costume designer Jacqueline Durran spoke to Entertainment Weekly about how hands-on the actress was in creating Belle’s iconic ballroom gown. And one of Waton’s requirements was that it did not have a corset. "In Emma’s reinterpretation, Belle is an active princess. She did not want a dress that was corseted or that would impede her in any way." And here’s Watson’s updated version. For the structure of Belle’s dresses, Durran told Women’s Wear Daily in March that she fitted Watson with a flexible bodice that ties at the side so that her movement wasn’t inhibited. We’re so impressed that Watson’s efforts to make Belle a female role model for the ages spanned beyond just the story of Beauty and the Beast and into the fine details of her costuming. 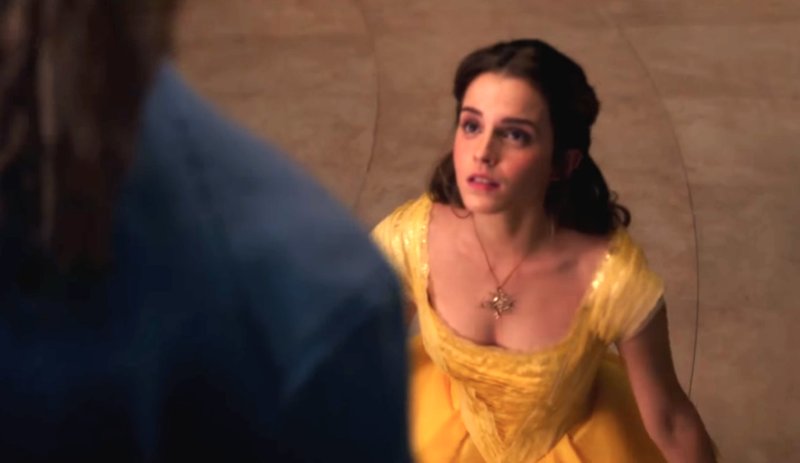 This attention to detail and feminist intent is exactly why we love Belle — and Watson — so much.